PLEASE NOTE ALL APPLICATIONS CAN ONLY BE ACCEPTED AND APPROVED IF THE FOLLOWING TERMS AND CONDTIONS ARE ACCEPTED WITHOUT VARIATION OR ALTERATIONS. 1. 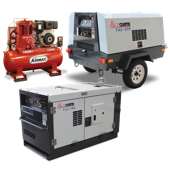 DEFINITION: In the following terms and conditions of sale of goods the “Company” shall mean Enerquip Pty Ltd and any of its trading names ie Advanced Air Compressors Qld or Aircompressors.com.au Pty Ltd. “Goods” shall mean the goods which are the subject of these terms and conditions of sale and shall include services, and “purchaser” shall mean and include the person to whom any quotation is made and shall include any person offering to contract with the Company on these terms and conditions. 2. GENERAL: The only contractual terms which are binding upon the Company are those set forth herein and otherwise agreed to in writing by the Company and those, if any, which are imposed and cannot be excluded by law. 3. PRICES: All prices are quoted for goods manufactured or procured by the Company and are based on wages, awards and conditions and material costs as at the date of quotation and all prices quoted for overseas goods are based on the current manufacturer’s prices, freight rates, insurance, exchange rates and custom duties, at the date of quotation. The Company reserves the right to adjust quoted prices to compensate for any alteration therein and any such adjustments will be to the purchaser’s account. All prices and terms quoted by the Company or shown in any of its catalogues or price lists relating to the goods are subject to change without notice and the Company shall be under no obligation to sell the goods at the published prices. 4. TAX: All prices are quoted exclusive of GST unless stated otherwise. In the event of any additions or alterations in Federal or State Government imposts being brought into force before delivery of the goods which the Company has to pay and or collect, the prices mentioned herein shall be varied by the amount of such Tax impost or imposts and this condition shall be deemed a term of the contract of sale. 5. DELIVERY: Any period or date of dispatch quoted is given and intended as an estimate only and the Company will not be liable for any loss or damage arising from any delay in dispatch howsoever caused. 7. *The Company will not admit any liability whatsoever or howsoever arising which exceeds the cost of replacement of the subject goods. *Unless otherwise stated, the Company will not admit to any liability whatsoever or howsoever arising beyond (90) days of date of dispatch. *The Company shall in no event be liable in any way whatsoever for any contingent, consequential, direct, indirect, special or punitive damages arising in any way whatsoever or howsoever. 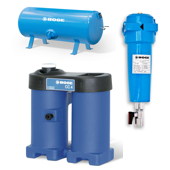 *The Company makes no performance warranty and the effects of corrosion, erosion and normal wear and tear are specifically excluded. 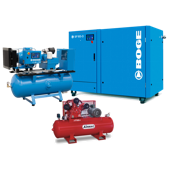 *On the sale of second hand air compressors if stated in writing a 3 month warranty period applies to the air end of the compressor only. If not in writing 2nd hand items are purchased by the customer as is where is and no warranty will be given on the sale of new/used air compressors and capital equipment it is understood that all payments for goods are strictly COD. If monies for goods are not received prior to machines being off loaded off delivery vehicle delivery may be denied. *The Company reserves the right to cancel an account without mention of reason or to charge extra for labour rates regardless of quoted pricing if accounts are going to or beyond 45 days before payment. 8. Unless otherwise stated, payment shall become due on the date of dispatch of the goods. Where prior arrangement has been made payment for goods delivered herewith shall be made within 30 days from date of invoice. In the case of payment by cheque, payment shall not be deemed to be received by the Company until same has been honoured. Time is deemed to be of the essence. Until payment in full is received by the Company the goods shall remain the property of the Company, notwithstanding risk in the goods passes to the customer at delivery. Where the Company has not been paid in accordance with the terms set out herein the Company may at its option either exercise any of the following rights in addition to any other rights it may have: Retake possession of the goods the customer hereby irrevocably authorises the Company to reposes the goods without any previous notice and for the Company, its employees or its agents to enter the customer’s premises or any other place where the goods may be stored and the customer is under an obligation to deliver up the goods to the Company, its employees or its agents. The customer also agrees to pay for all costs and damages incurred in such repossession. In addition the Company may also take further action of -Charge interest on the amount owing as from the date it becomes due at the rate of 4% above the base rate of the National Australia Bank Corporation to prime borrowers. -Suspend deliveries to the customer whether under this contract or otherwise until all amounts due, including any interest payable here on, have been received: And terminate any or all contracts in relation to goods that have not been delivered. All costs relating to any legal action taken by the Company to recover moneys due from the customer will be payable by the customer. 9. In the event that goods are returned once customer order given or requested a restocking fee of 20% will be charged. 10. In the event that the customer commences to be wound up or is placed under official management or suffers a receiver or Manager to be appointed or becomes insolvent or commits an act of bankruptcy or in the event that in the sole opinion of the Company the payment of any amount in respect of goods supplied by the Company is in jeopardy the Company may at its option and in addition to any other rights it may have, take action as listed above.